The Festive Season is upon us. 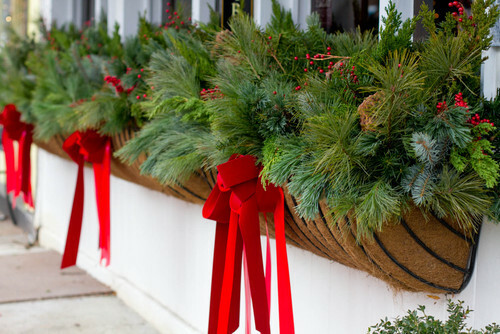 It’s time to deck those eaves, window boxes and plug in that inflatable snowman. Hahaha maybe not the last one for me….but t’is the season to let your inner child out. 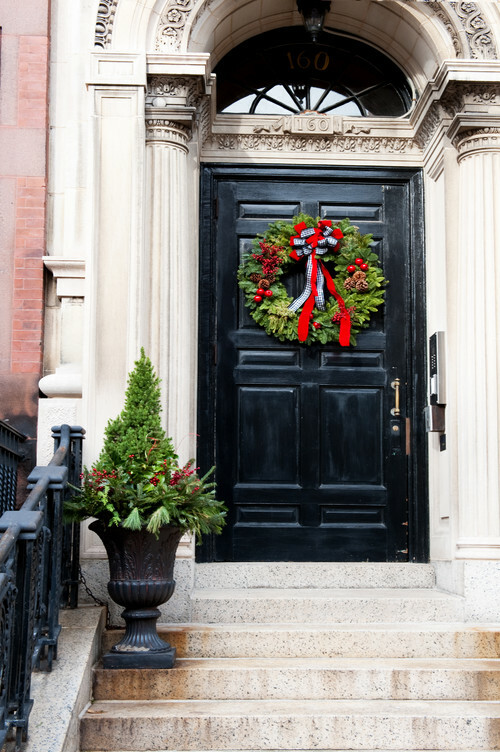 A simple wreath or winter topiary can do the trick to welcome your guests with the Christmas spirit. Dont be afraid to add a bit of bling. Adding a few shiny well placed baubles/ ornaments would not go a miss in the image above. This image is a bit more grand due to its size, but the door decor and topiary are still present. I like that they have stuck to a theme to tie all the decorative bits together. 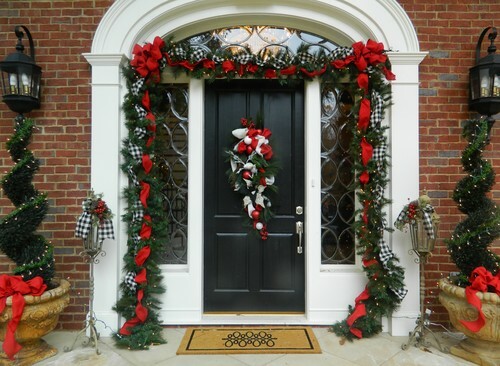 The red is very traditional, but the dog tooth plaid/ black and white checkers gives it a subtle modern twist. 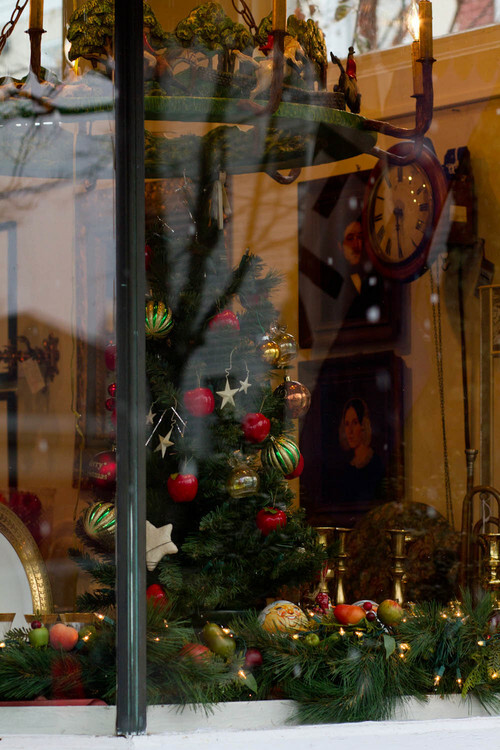 Creating a festive vignette in the window. Showcase lit trees, candles, faux crystalised fruit, and evergreen garland. Experiment, have fun, add a few quirky childhood novelties. These overfilled flower boxes are a gorgeous sight. 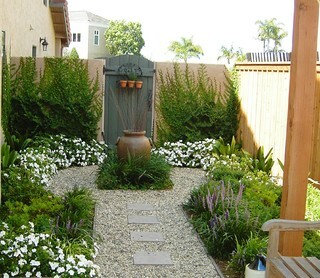 The mix of 4 or 5 different evergreen varieties adds lots visual interest. 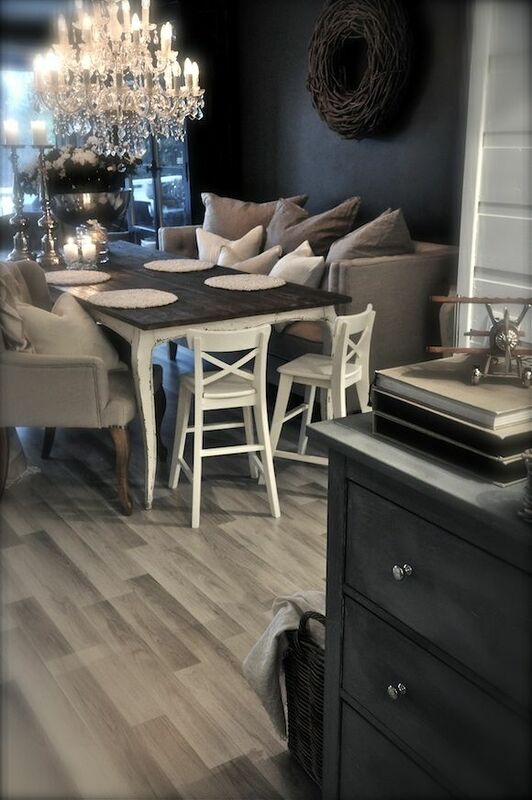 As with any decorating, mixing high and low quality items creates greater depth and stretches your budget. There is no shame in visiting the dollarstore/ poundland for the background roughage and then adorning it with a few good quality ornaments. Or why not trim some existing trees in your garden to tie in the whole scheme with your landscaping. Adding the lighting is always my favourite. There are so many types and colours to choose from. Reigning in a holistic theme is sometimes the hardest part. The soft white always looks classic. 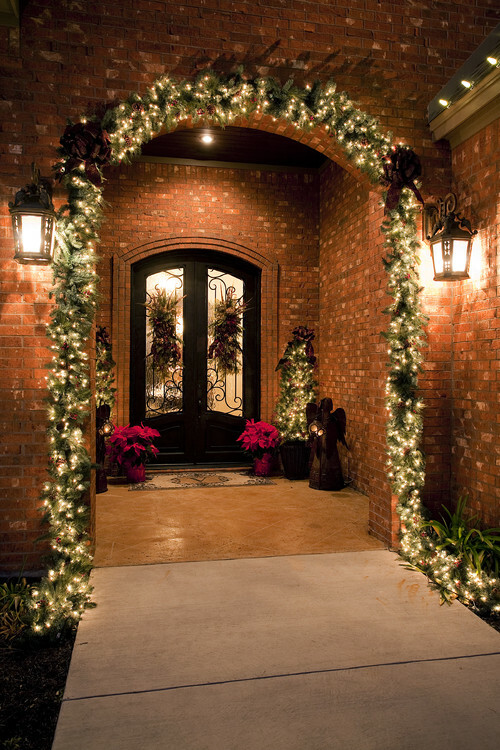 Adding pre-lit garland to the well tested front door formula: wreath/swag and topiary lifts it up a bit. The red poinsettias look beautiful. 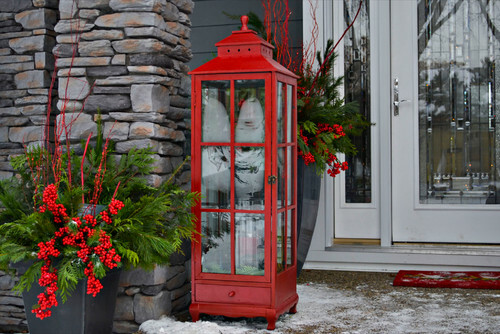 They have that Christmas charm and are a classic staple for any theme. This has to be one of my favourites. 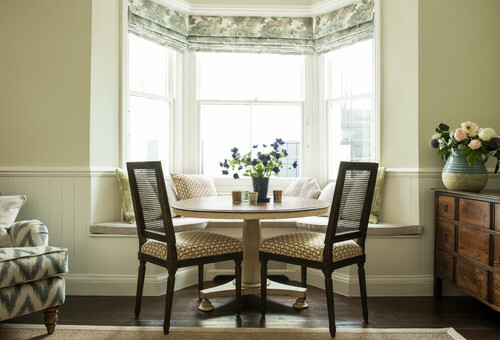 It is simple and bridges the modern and traditional styles extremely well. The candle, when lit is inviting. The flickering flame is deep in our mindset for comfort, warmth and friendship. Even if you do chose battery operated! Most of us have stored away are summer patio furniture, but if the temperature is agreeable, this looks like a fabulous idea. Table top BBQ for marshmallows, or venture a little further and set up the fire pit for ski resort style hot chocolate party, all wrapped up in festive blankets fire side. 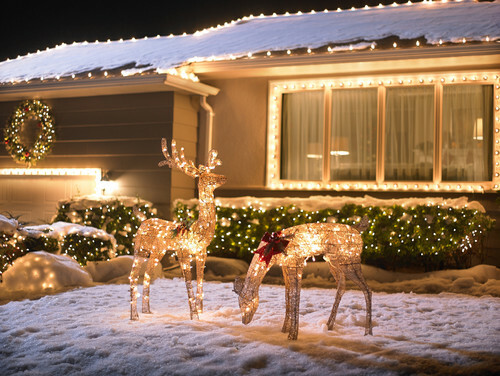 Categories: Christmas, Outdoor spaces | Tags: Christmas, christmas lights, outdoor decor, red, white and green | Permalink. If you are getting ready for Canada Day, Independence Day or celebrating the strawberries and cream during Wimbledon, the barbeque season is in full swing. 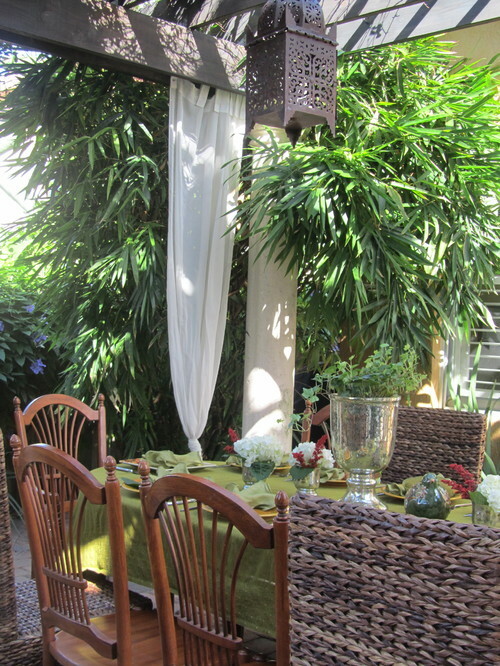 Having family and friends over for a Summer gathering is one of the great things about the season. The Summer cook isn’t standing away from the action with his face towards the wall any longer. He is in with the conversation and has a full outside gourmet kitchen to ignite the celebrity within us. 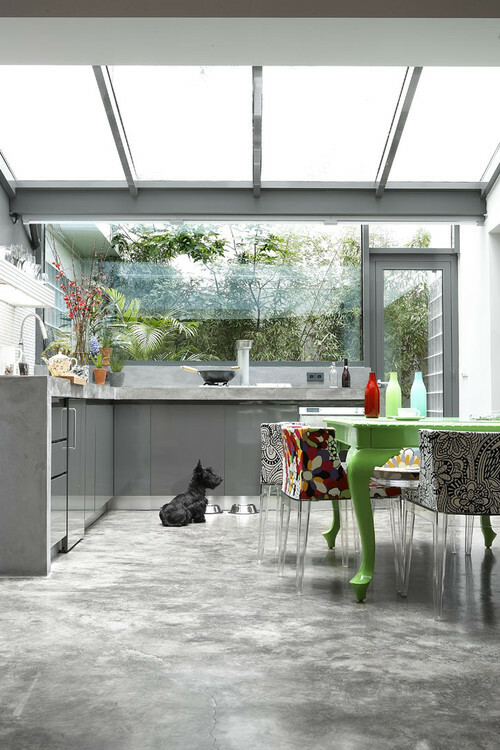 An extension of the kitchen is a complete prep station with outdoor grade fridge and wine cooler. 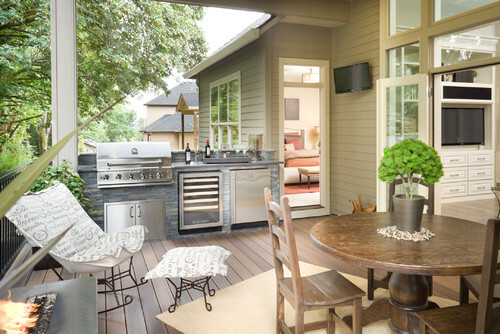 This great outdoor kitchen is all beneath a covered deck so you can cook rain or shine (or blistering heat). There is nothing to say that you couldn’t cook a Sunday full breakfast in the fresh air without heating up the house. 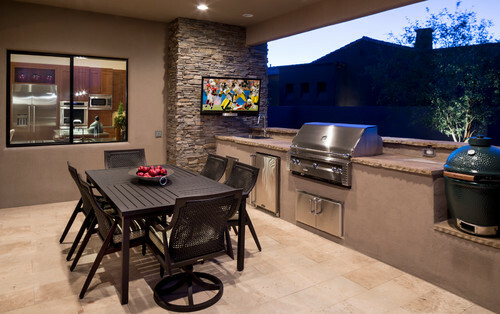 Why not watch the game, match and point whilst grilling those steaks! 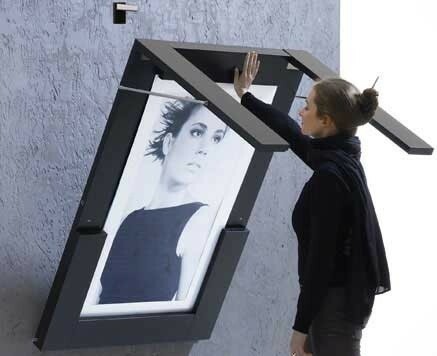 Probably not so good in rainy climates, but you could angle your television so that you can view it through the window. A room with a view! 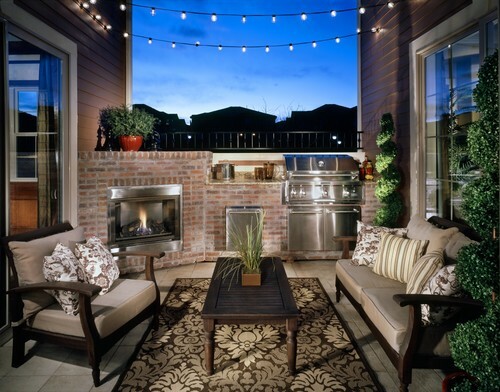 An otherwise cramped breezeway has made an opportunity for a great exterior lounge. Time to unwind watch the stars with the flicker of the fire and a late night snack. Ah Summer! 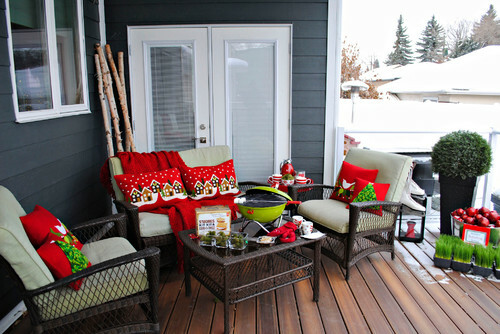 Categories: Outdoor spaces | Tags: 4th July, BBQ, Canada day, deck, Kitchen, outdoor living, patio, seating area | Permalink. 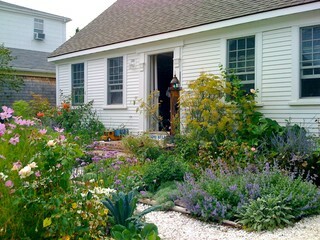 Low maintenance gardens are highly sought after. After a gruelling day at the office most of us would rather kick off our shoes and relax than mow the grass, clip the hedge and water the plants. We are not all destined to be limited to pavers and a bottle of weed killer. Now we can have our cake and eat it too! 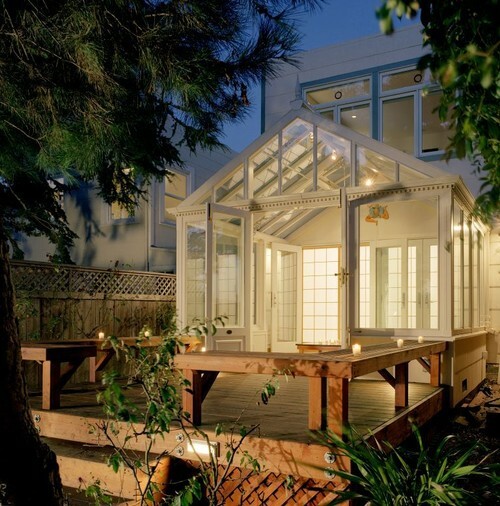 Contemporary Patio by San Francisco Interior Designers & Decorators Martha Angus Inc. Artificial turf has come a long way. The products are remarkable out there. Thick lush greens that feel and look real without that plastic sheen and feel as soft as velvet. 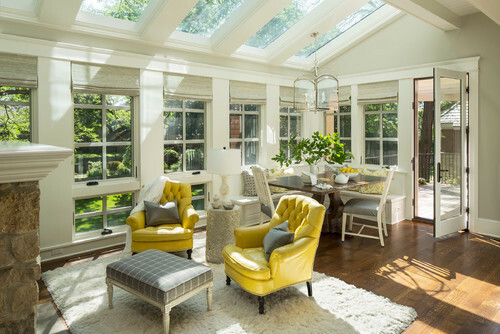 Many ranges have UV inhibitors that do not degrade under the hot sun. A faded pastel green of years gone by are no more…most suppliers have 10 year warranties. 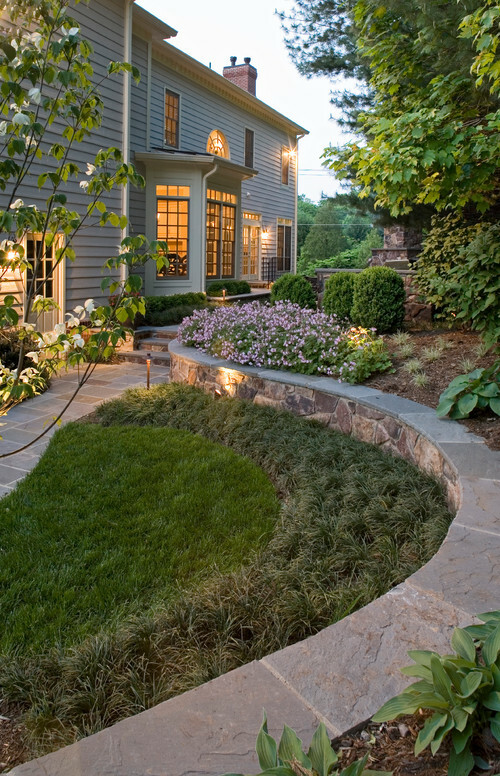 Low maintenance like this comes with a big price tag, so do your research well. 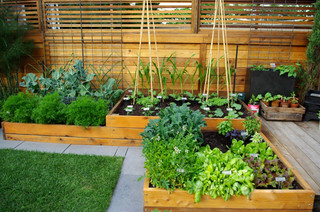 Great for roof terraces where the added weight of a garden limits your options for a greenspace. 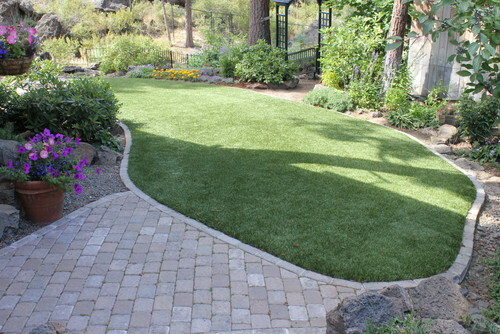 Hard to reach places like terraced gardens or areas with a lot of shade or too dry to grow grass for kids and pets to play are prime areas for artificial turf without the hassle of trying to get the real stuff to grow. 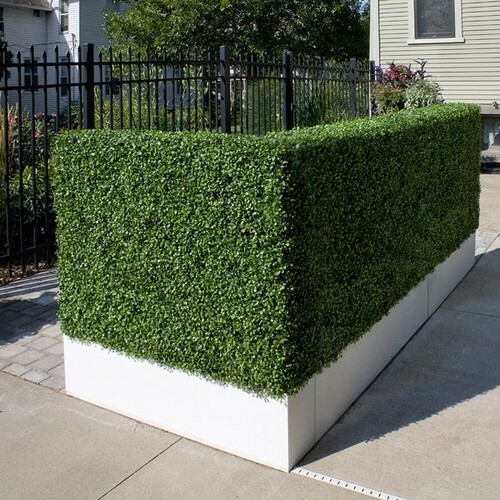 Faux hedging- Yes, its true you can construct a fake boxwood hedge. No waiting for it to fill in and grow. 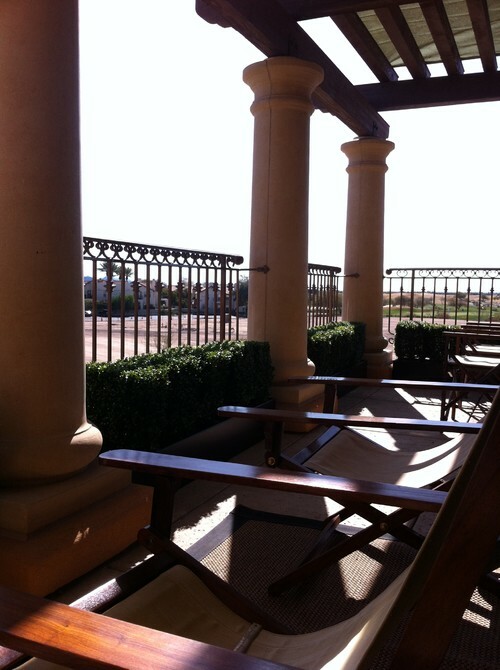 The “hedging” can be much narrower than a real hedge which is perfect for adding greenery to a small balcony. It usually comes in 12″ x 12″ square panels that can be stapled or tied into a frame. It could also be arranged into a vertical planting “living wall” that are becoming popular. 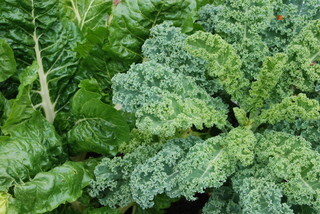 You get what you pay for so be aware of cheaper varieties that look blatantly fake. 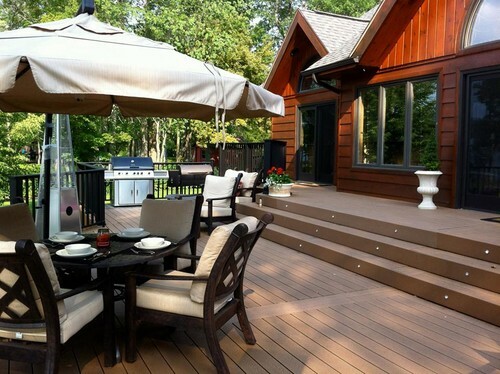 Faux timber, better known as composite wood decking, reduces the maintenance of routinely staining your wood structures. There are many different colours and grades to chose from. Some even look like hardwoods you’d have inside. 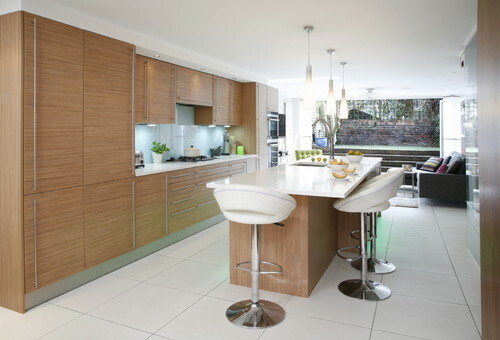 Varieties also come in both traditional planks or more contemporary panels. 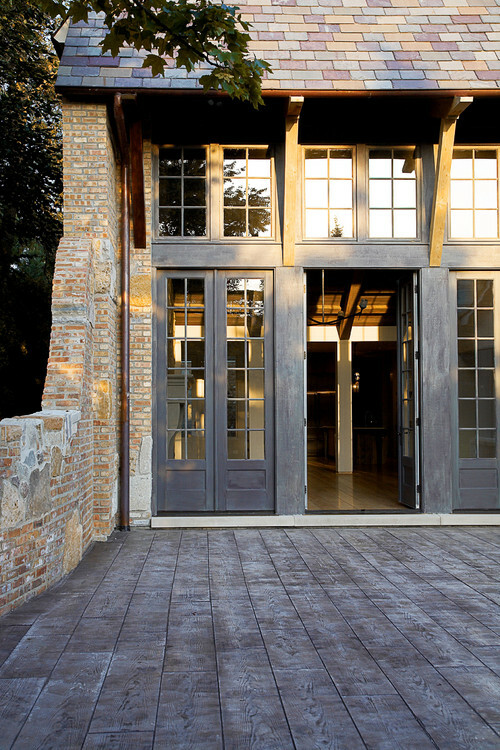 Faux Stone can have a great visual impact without a hard hit to the wallet like natural stone. 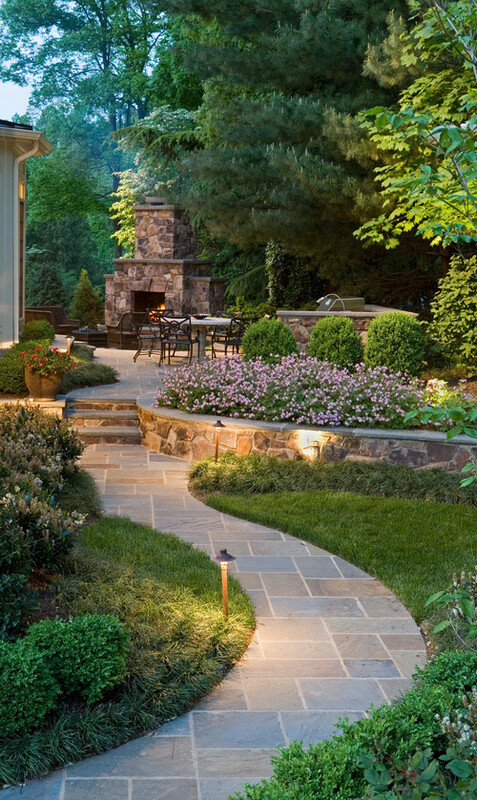 There are many different products for different applications from pavers for your patio to lightweight veneer panels for vertical mounting on walls and columns. There are countless colour and texture combinations to fit any landscape, Even the stamped concrete patio above that resembles weathered 2×10 decking is an amazing statement piece. 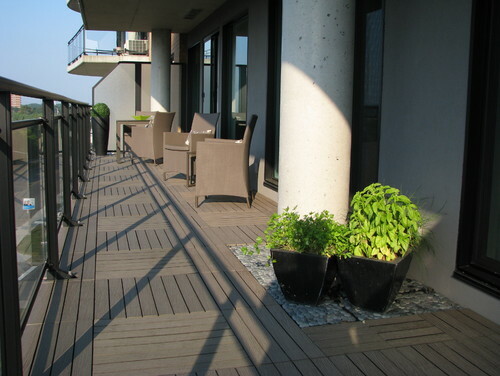 Categories: Outdoor spaces | Tags: artificial grass, boxwood hedge, composite wood decking, faux, low maintenance, outdoor space, turf | Permalink.